Need a little help with support. Are you being asked to attach files? If so are they in the right format? Notepad files in .txt tends to be the most friendly. Are they a small enough size?Otherwise, try clearing your browser cookies and cache and trying again. If not, try a different browser.If that also does not work, try the Live Chat option without attaching any files, if you can. Also, make sure you don't have security software interfering. Sometimes that can happen. Will this be a fraud? Yes, accessing the game memory would be considered cheating. Further you are doing so to give yourself an advantage others do not have, also cheating.Do not modify or access Blizzard game files, game memory, or game communications. Great, we got restarting your network devices out of the way. Your data shows your issue starting at the home connection which could be equipment related, setting related, or ISP related. Personally I have had issues twice. Once required firmware updates to router and PC. Second required a new modem. What other things have you tried from the Connection Troubleshooting thread? I am sorry but they don't take appeals for competitive play bans. 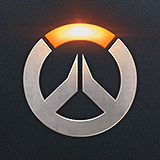 https://us.battle.net/support/en/article/125759Any time you have DC issues in OW it is best to stop competitive play and work on figuring out the issue, or waiting out the issue if it is ISP/routing related. There is a troubleshooting link in the article I provided. Possibly. The system is set to detect rapid changes in IP/login patterns to protect you from hackers. Over time the system learns your "safe" login locations but with a VPN it changes too often for the system to learn. Blizzard allows VPNs, but does not support them - as in they won't make accommodations to help you use them. The best way to avoid being locked is to use the same VPN server every time and to put an Authenticator on the account. That reduces the chances of an account lock, although does not eliminate it totally.